Ergonomic pillow, realised in Memory Foam. The puncture allows a correct and regular ventilation to the pillow, that eliminates the excess heat and humidity. This particular material is enriched with microcapsules at slow return of Ylang Ylang essence (see other details below). Ergonomic pillow, realised in Memory Foam, a material that is hypoallergenic, breathable and highly elastic with print effect,thermally sensitive and self-modelling. 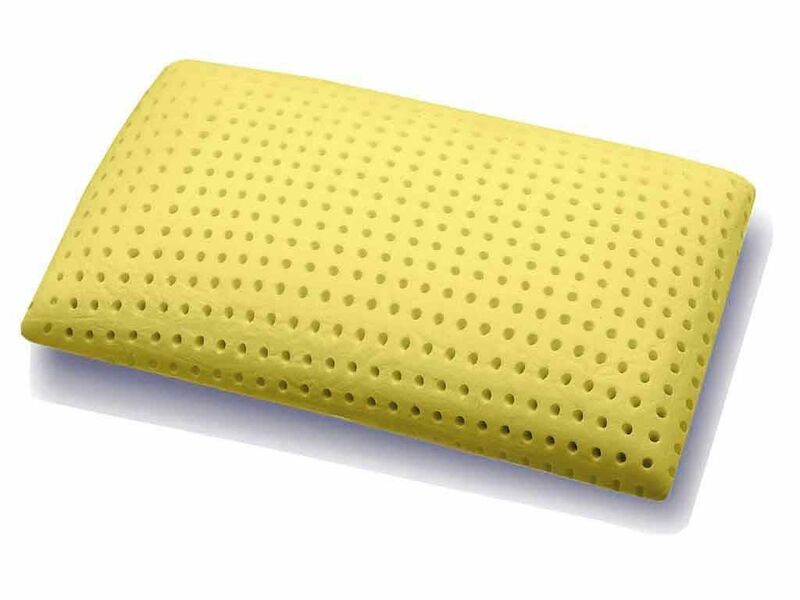 The puncture allows a correct and regular ventilation to the pillow, that eliminates the excess heat and humidity. This particular material is enriched with microcapsules at slow return of Ylang Ylang essence. The Ylang Ylang is pleasantly perfumed and has a relaxing action on the nervous system, mitigating disorders, like anxiety and depression, and it has also hypotensive, aphrodisiac, invigorating and astringent properties.